Excitement is building for this year’s Club Legend Award after the judging panel met last Friday to choose the 2018 winner. 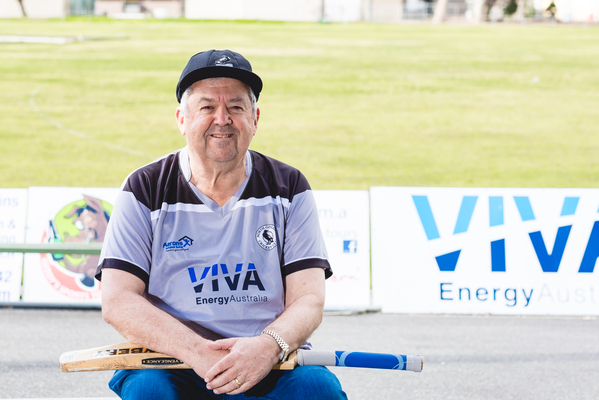 Last year’s inaugural winner, Roger Allen, joined the panel at Kardinia Park ahead of the awards dinner next Thursday. “I’m just pleased to be able to help,” he said. Roger won the award after half a century playing and volunteering for North Geelong Cricket Club. “I’m sure whoever wins will be as thrilled as I was. You don’t volunteer expecting to get this award. The winner and runner up will win $5000 and $2000 each for themselves and their clubs. The panel selected them based on their promotion of inclusiveness, strength as a role model and community impact. “There were four or five people that really stood out in my opinion,” Roger said. Rob Riordon chaired the judging panel, which included local representatives from council, sporting bodies, businesses and community groups. On the panel were Cameron Loftus, Paul Cotter, Sheldan Convery-Oborne, Thys Heyns, Michael King, Jess Dangerfield, Will McGregor and Kirsten Kilpatrick. Roger urged readers to vote for their favourite in the $2000 People’s Choice award at clublegend.com.au before 2 September.